There have been too many attacks on people for their faith recently, and those in Sri Lanka are especially painful on this Easter holiday that should bring joy and renewal. We must band together against our common foes of hatred and division and stand in unity against tyranny. Trudi and I wish all who are celebrating Passover a joyous holiday. May your Seder be filled with peace and your blessings filled with opportunity. Chag Pesach sameach! This week #waleg made historic commitments to the well-being and health of Washingtonians by passing all four of our bills to transform WA's #behavioralhealth system. Thanks to both chambers for your bipartisan support. I’m looking forward to them coming to my desk for signing. From advancing labor protections and expanding health care to tackling homelessness and building new transit and mobility options, @kcnews is an important partner. There's more to do, but I know we’re up to the challenge. Cecile Lindquist was a great friend of the Inslees and a hugely passionate advocate for all kids in Washington state. Trudi and I are deeply saddened by her passing. 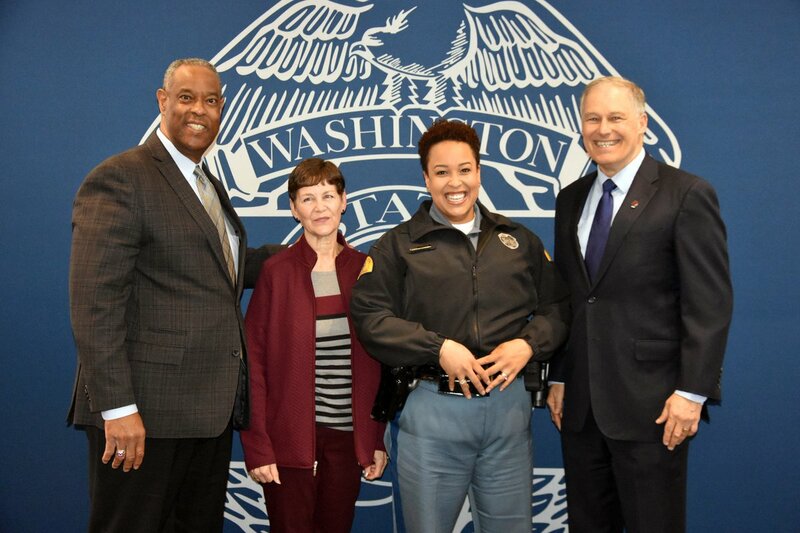 Today I was proud to acknowledge @wastatepatrol Chief John Batiste for his 40 years of service to Washington state. A lot of what I've been able to accomplish as governor is because of the great support and work of Chief Batiste and his team. Thank you for all that you do. My office recently learned the shocking revelation from that reunification could mean placing a separated child with ANY long-term sponsor — regardless of whether it’s their parents, other family in the US, family back in their home country or in long-term foster care. Democracy lives on in Washington state. Hate is not welcome in WA. Refugees and immigrants are. We are fighting for you.